FROM THE M4/M48: On the M4 travelling west, when you have passed the Bristol exit, follow the signs for the M48, Chepstow and Services. This will take you across the old Severn Bridge. When you are on the Severn Bridge, keep in the nearside lane and take the next exit to Chepstow, immediately after crossing the bridge. 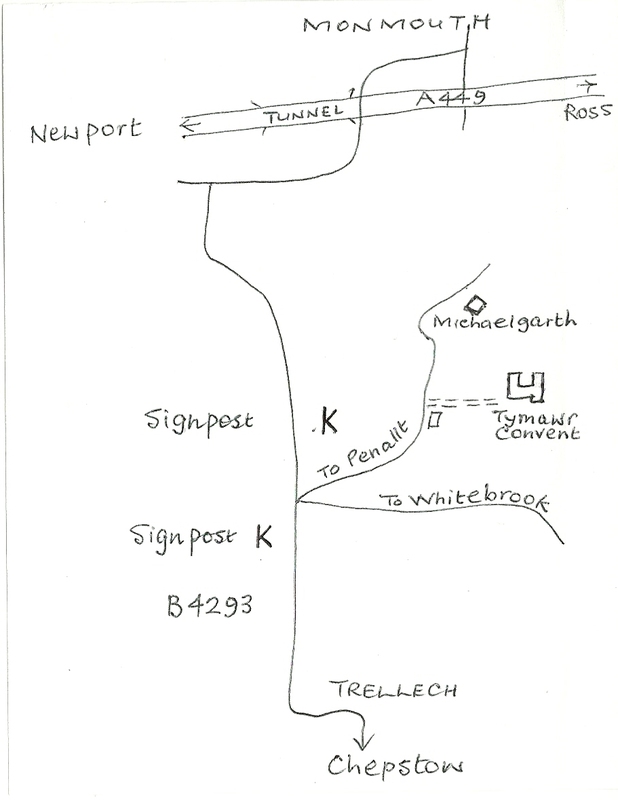 Follow the Monmouth sign, turning left to take the B4293 through Devauden and Trellech. One mile past Trellech there is a road sign which looks like a “K”; take a right/left turn towards Penallt (avoiding the continuing turn right towards Whitebrook). 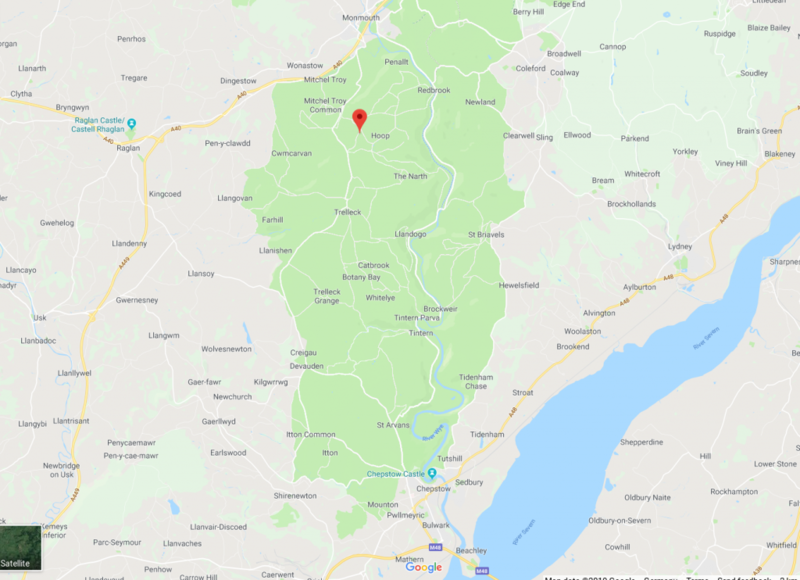 FROM MONMOUTH: get on to the B4293 to Chepstow via Trellech. If you enter Monmouth on the A40 from Gloucester, take care not to overshoot the Trellech turning, which comes just before the tunnel. After approx 3.5 miles, taking care to avoid the first Penallt sign as you come up the hill, there is a back-to-front “K” road sign signalling a left turn for Whitebrook and Penallt. Turn a “hair-pin” sharp left for Penallt (avoiding the Whitebrook road). ONCE ON THE PENALLT ROAD: the drive up to the Convent goes from the first house on the right. Michaelgarth is the next house on the right.